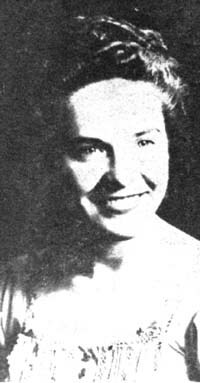 Barbara Allen was from Zuni, Virginia. She got interested in singing when she was in high school and after she graduated, began making personal appearances in the area. Someone at Decca heard her and she got a recording contract with them. Soon, she was in Nashville and appearing on tours with the stars of WSM's Grand Ole Opry. Her first record on Decca was "Between Now And Then". In 1958, Billboard magazine cited her as one the three most promising female singers. Her second record came along, "From Midnight 'Til Dawn". Shortly thereafter, she returned to Zuni to assume the role of housewife and mother. She later joined the WRVA show, by then called the "New Dominion Barn Dance" that aired over the 50,000 watt, "Voice of Virginia" station. Though being a mom and all, she still managed to make appearances at the service clubs in the Norfolk, Virginia area. They even named her the "Navy Guide Girl of the Month" once. Some of the acts she appeared with included George Morgan, Anita Carter, Hank Garland and the Everly Brothers. Cowboy Songs No. 62 (July 1959); American Folk Publications, Inc.; Derby, CT.